I’ve always loved flowers. As a kid, I remember we had a small garden in our backyard where my mom would plant daisies, hibiscus, orchids, bougainvilleas, pentas and proteas. Even after moving to a small apartment in the city, I still seek out lush and green spaces to get my nature fix. I’ve tried to get a floral subscription before, just to have beautiful arrangements at home, but they tend to be quite pricey and the flowers don’t last very long—a week or so at most—even with proper care and maintenance. I noticed most florists in Singapore usually stock imported and non-tropical flowers in their storage facilities so once they get to the customers, they’re no longer as fresh as you’d want them. So it was a pleasant surprise when I came across a blog post by A Better Florist which mentioned their floral subscription service. It discussed the ways fresh cut flowers and plants can make a space more inviting and bright. 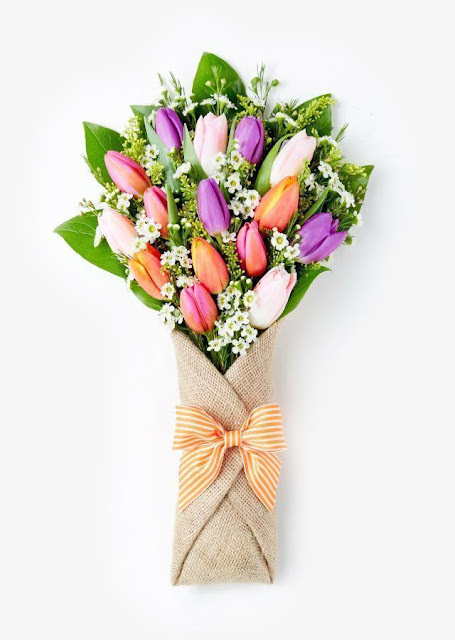 Even better, their floral subscription uses seasonal flowers sourced from the nearby nurseries and flower farms of Cameron Highlands so their stock is as fresh as possible. Their website is easy to navigate with big, colourful photos of their available bouquets. I was drawn to their rustic packaging of burlap and mason jars because it reminded me of my childhood, picking flowers from the garden and placing them on upcycled containers at home. The selection’s not as wide and varied as other online florists, but they’re all equally gorgeous and Instagrammable. Since I’ve had bad experiences with florists before, especially during Valentine’s Day when bouquets often arrive not only late but also already wilting, I decided to try out their service by purchasing a bouquet as a surprise for Mother’s Day. My mom’s already in her late 60s so she hasn’t been able to tend to the garden as much as she’d want to. These days it’s more of a plant garden than a flower garden, preferring cactus over dainty blooms since they require less upkeep. So I wanted to send her a beautiful bouquet to perk her up on Mother’s Day. I chose The Spring Breeze with its luxurious blooms and attractive arrangement. The transaction was pleasantly fast. I was immediately taken to the checkout page for payment options. The verdict? A Better Florist definitely delivered on their free same-day delivery promise. Even better, the flower arrived fresh and beautiful. Mom especially loved the mason jar that came with it, proudly displaying the bouquet on the breakfast table. It’s no wonder they landed in the Top 10 Florists in Singapore despite being relatively new in Singapore’s flower industry. I guess their success in Singapore is what drove them to open branches in Hong Kong and Dubai. I’m definitely going to purchase another bouquet from them soon; maybe even sign up to their floral subscription.